I don’t mean to sound like a jerk but I have kind of been over Thai food. 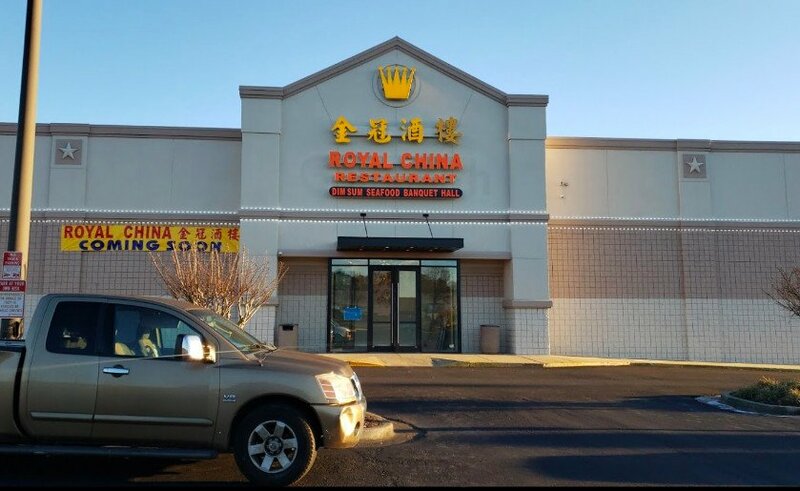 As a kid, my mom would feed us Annie’s Thai Castle on a regular basis (I liked the Rama Chicken the best). It just got old and quality was hard to find. I guess I also got side-tracked when discovering Korean, Vietnamese and Filipino cuisine. Thai just seemed mundane after a while. I was reading an online discussion about Thai in Atlanta the other day and someone had named Thai chili as one of their favorites in Atlanta. I used to go there a lot when I was a student at Emory and had never been impressed. I decided to go back and see what the score was. I walked in and it was more elegant than I remembered. The place was buzzing with the lunch crowds and press clippings littered the wall. I ordered a spicy Pad Thai (there are standard items that are indicators of quality for me with certain cuisines) and the basil rolls. I got my food quickly and was instantly smack-dab in traffic. My stomach was growling so I cracked open the basil rolls. I opened the plain styrofoam container and found 6 perfect looking pieces basil roll looking up at me. It looked like tightly rolled sushi. The sauce was too salty but the texture and flavor were great. I started in on my Pad Thai right when I got home. It was pretty good. The shrimp wasn’t overly frozen tasting and the heat level was just as I had requested. I am sure it would have been better straight out of the wok. They also gave me a little coconut chicken soup which was not overly sweet or salty (symptoms of most places’ version) but an enjoyable broth peppered with pieces of juicy chicken. I can honestly say it was good Thai for $14 lunch. I will definitely return. Try Panita Thai Kitchen, directly behind Surin. Go with a lot of time on your hands, and call ahead to make sure it’s open. It’s incredible, totally different from the other thai places in ATL. Order something out of the ordinary… I like “In the honor of the Queen”, myself. I would tell you what’s in it, but it’s seriously a paragraph of ingredients. It’s amazing to me that Surin is PACKED every night, and Panita’s is empty. It is so vastly better than Surin, it’s laughable. A full dinner is a long affair, and good weather is a plus, as the place has an open, tropical feel. Give youself 2-3 hours and a big appetite. I’m a new reader. Literally. I just started 5 mins ago. Looking for a french resto and ended up getting hooked with your blog. anyway, speaking of Thai food, have you ever tried Thai Palate in Midtown at Ponce de Leon ave? I personally like most of their food and the price is very affordable. I just found your blog and look forward to some quality time reading and finding more places to eat here in Hotlanta. I understand you are over Thai, but Little Bangkok on Cheshire Bridge road is the best place I have been for Thai in Atlanta, and I have been to like 20 places including Thai Chilli, which is not even close and Surin, which I didn’t like at all.